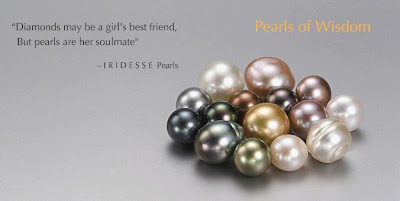 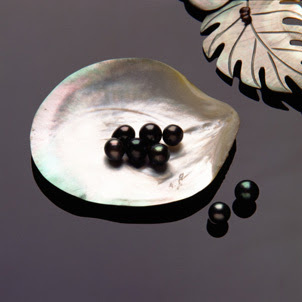 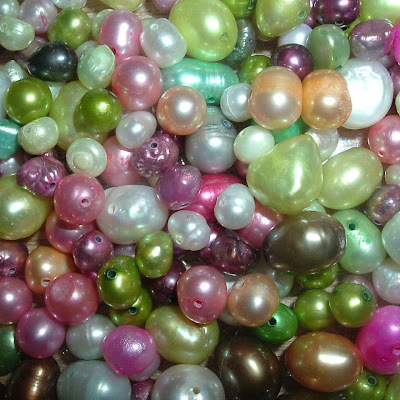 I love pearls as a mentioned a couple of postings back. 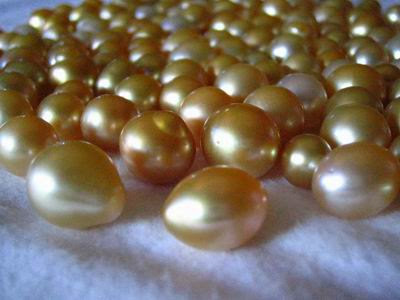 They are so beautiful. 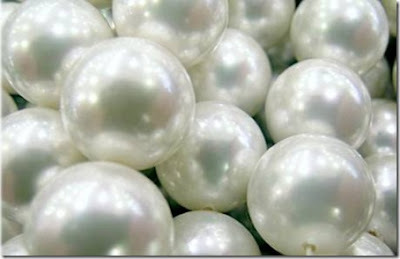 But here is a unique, but equally beautiful, Pearl. 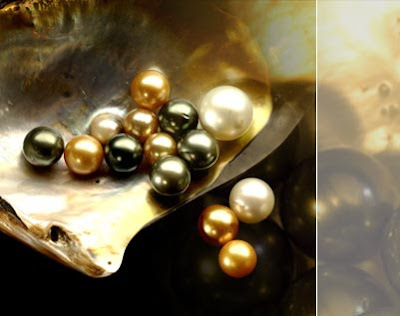 We watched this documentary (thank you again to NetFlix) titled A Man Named Pearl the other night and we were just so moved and astounded at this man's talents. 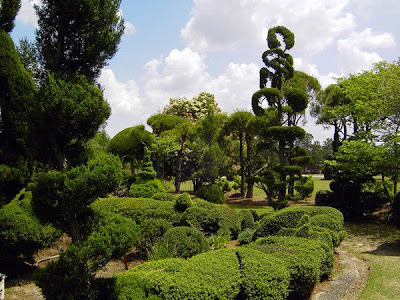 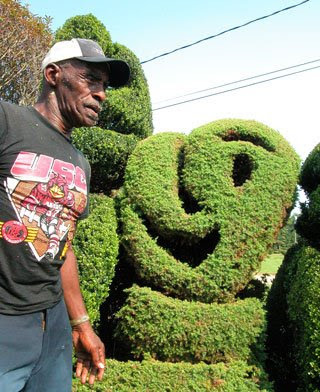 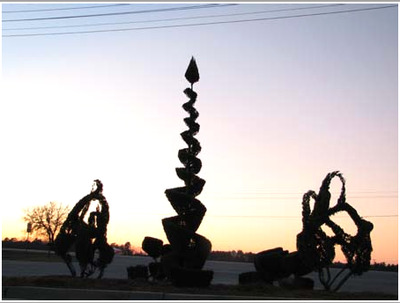 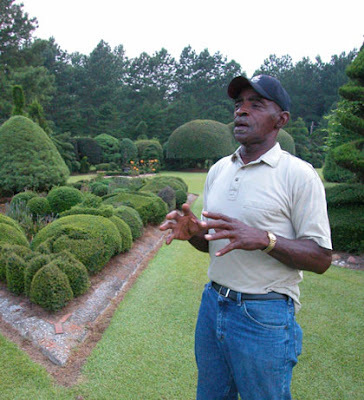 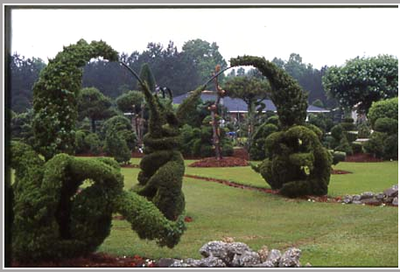 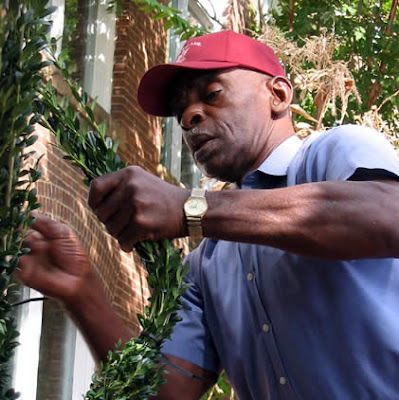 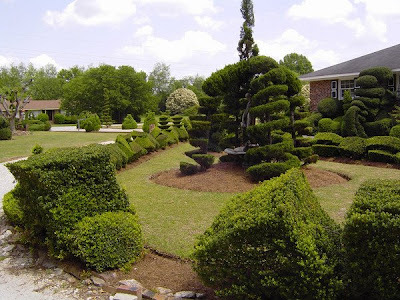 A quote from the film's website: "A Man Named Pearl tells the inspiring story of self-taught topiary artist Pearl Fryar who has created the most magical topiary garden in his backyard. 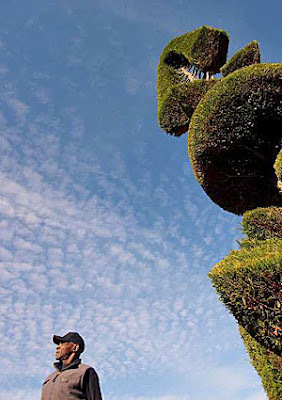 It is a subtle and intriguing film that is certain to open hearts and minds. 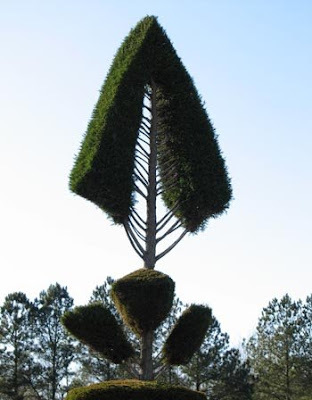 It offers an upbeat message that speaks to respect for both self and others, and shows what one person can achieve when he allows himself to share the full expression of his humanity."